Kathleen “Kathy” M. Hartman (nee Pardun), 62, of Juneau passed away peacefully on Tuesday, April 10, 2018 at Clearview Community Gardens, Juneau. She was born on August 4, 1955 to the late Milton and Madeleine (nee Doerflinger) Pardun in Hawthorne, CA. Growing up she enjoyed riding and taking care of her horse. Kathy raised her three children. Kathy liked playing cards, especially cribbage, shopping, and going to her church. She enjoyed going out to eat, birdwatching, watching old movies, and the fair to look at the horses. She especially enjoyed spending time with her family and friends. She will be missed by all who knew her. 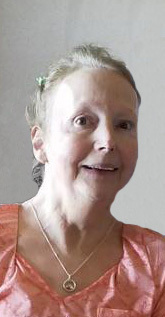 Those Kathy leaves behind to cherish her memory include her three children, Nicole (Marc) Moederndorfer, Melissa Miller, and Justin Grenier; eight grandchildren, Leaha Moederndorfer, Brianna Moederndorfer, Danielle Moederndorfer, Kaylee Ott, Kylee Ott, Dayton Miller, Evan Miller, and Madeleine Miller; a brother, Ray Pardun; former husband, Jerry Hartman; many other relatives and friends. In addition to her parents, she is preceded in death by her sister, Christine Mead and brother, Randy Pardun. A memorial service in remembrance of Kathy will be held on Thursday April 26, 2018 at 7:00 p.m. at Our Savior’s Lutheran Church, 1044 Silverbrook Dr., West Bend. The family will greet relatives and friends at the church on Thursday from 5:00 p.m. until the time of service. A special thank you to the house manager, Jessica, caregiver Jane, and the rest of the staff at Clearview Adult Family Home for all the help and care.